Google Panda 4.0: Here Is What You Need To Know!! It’s official. It’s here! 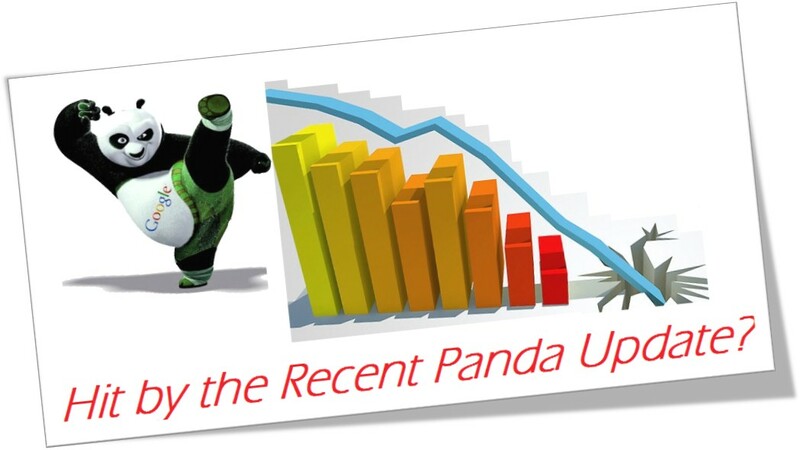 The Google Panda has been let loose & with a reputation for crushing sites down in SERP results, it has already taken the SEO world by storm. This has been termed as a major update to the algorithm & is not just a data refresh. According to Google, the Panda 4.0 affects different languages and to different degrees. For search queries in English, the impact is estimated to be ~7.5% of queries that are affected to a degree that a regular user might notice. Google announced its first ever penalty on sites that had ‘thin’ or ‘low quality’ content on Feb 24, 2011. It was created to help the search engine sift out sites that seemed to lack substantial value. For example, if a site claimed to have a solution for a particular topic but described only the basic outline around the topic, it was likely to get affected. Additionally, sites which blatantly violated Google’s Quality guidelines were taken off the result pages too. In the past few years, there have been a number of changes to the algorithm which have helped improve the search results across the world & fight spam. However, a lot of small business lost out on rankings & hence Matt Cutts announced at SMX West in March 2014 that his team was working on the next generation of the Panda update which would help them do better in search results. It is too early to speculate and point out any clear winners or losers as now. Pritam Bijlani, Head Projects and Digital Marketing at Richfeel Trichology centre clarified that so far he hasn’t seen any impact on their SEO as they frequently update their website with rich informative content. 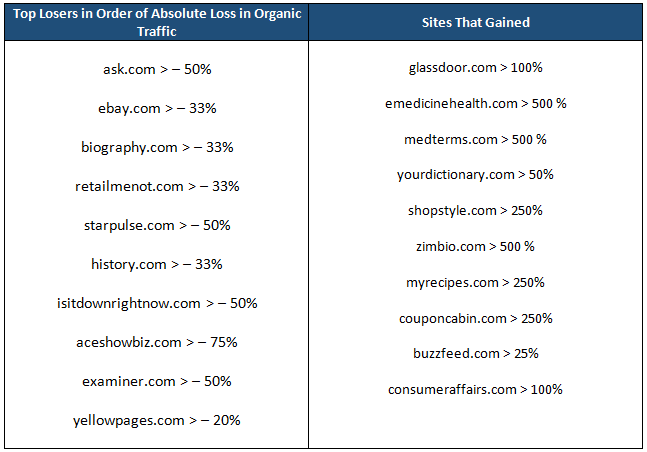 However, SearchMetrics conducted a preliminary analysis which they say is ‘based on the organic SEO visibility for all researched set of keywords that are constantly monitored’ & their findings show that eBay is amongst the top losers along with Ask.com. GlassDoor, emerged out to be the clear winner with its unique content & value which it provides to the job seekers. Also, eMedicineHealth, an online knowledge base created by experts on topics related to health & medicine saw huge gains in traffic. Even RetailMeNot was not spared and lost traction for quite a lot of keywords (although they have sent out a press release saying that these reports greatly overstate the impact on the site). Leo V J, Marketing Manager – Online, CQ Customiquepersonally feels that this release will help a lot of genuine mid-scale online websites rank better. The fact that Panda 4.0 has hit at the same time as a refresh of an algorithm targeting spammy queries like ‘payday loans’, you definitely have a reason to worry about & need to monitor your rankings and organic traffic closely. Content is Still the King! With the above set of updates, one thing is crystal clear which Google wants the world to know ‘They will not tolerate spam and continue to crack down on thin quality content.’ ‘Me Too’ sort of content is now an endangered species.’ Writing generic ‘How to’ articles & content pieces on topics which have been covered before won’t help you win anymore. The questions which you need to ask yourself are – What are you going to do that stands out? What are you going to do that’s exceptional? Have a well-defined content strategy & invest in creating a brand and you will cut down the risk of your site being affected by Google updates in future. Let us know your take on this!